Why do you need regular Oil & Filter Services? Motor Oil provides the barrier that prevents metal-to-metal contact and absorbs heat from the moving parts of your Lexus’ engine. The lubrication system filters the oil to remove contaminants and prevent corrosion, and then pumps it throughout the engine. 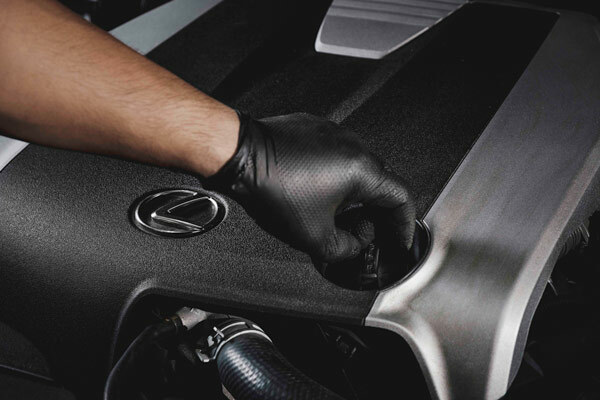 To keep your engine running smooth and clean, have your Oil & Filter changes performed by Tony Graham Lexus at the recommended Lexus Maintenance Schedule intervals. Valid only at Tony Graham Lexus. Prior sales excluded. One coupon per guest. Must present offer at time of write-up. Price does not include tax and shop-supplies. Not valid with any other offers or in-store specials. See Tony Graham Lexus for full details.